The attraction of an NYSE listing may be under increasing pressure, according ($sub req’d) to the Financial Times. Nearly 60 per cent of respondents to the survey of attorneys specialising in initial public offerings said the risk of securities litigation, coupled with the cost of developing infrastructure for a public company and meeting accounting standards, discouraged companies from going public in the US, according to Gavin Anderson, the US financial communications company. Richard Truesdell, of Davis Polk and Wardwell, said that, while US exchanges continued to capture a strong share of international offerings, their position was at risk. â€œOverseas markets have developed attractive regulatory frameworks and they are getting better at marketing and providing liquidity to support IPOs,â€ he said. The Gavin Anderson firm interviewed attorneys from 20 US firms representing issuers on almost $11 billion of US IPOs last year. While it is true that law firms can benefit from the work created by increased regulation (like Sarbanes-Oxley), this survey shows that long-term it may be more of a mixed blessing if more securities work is headed offshore. The NYSE, of course, is not sitting still, the parent company is now called NYSE Euronext. Where do the law book publishers go when people are moving online? Would you believe television? The New York Times details a new initiative by LexisNexis unit Martindale-Hubbell to create ads for law firms that could go beyond the Robert Vaughn-says-call-plaintiffs-lawyer-X variety. While the commercials in Spot Runnerâ€™s general catalog can be purchased and personalized for as little as $499, packaged advertising campaigns for Martindale-Hubbellâ€™s firms will start from $10,000 to $50,000, including air time. Kurt Weinsheimer, vice president for partner development at Spot Runner, said that many small firms had been discouraged from television advertising because professional-looking commercials are prohibitively expensive and time-consuming. Under the new arrangement, law firms can work with their Martindale-Hubbell account representatives to use a Spot Runner ad and buy time in the more-affordable local, rather than the national, television markets. In those local markets, the commercials will run on broadcast and cable networks like CBS, CNN, ESPN and Fox News. For some time, Martindale-Hubbell has attempted to move beyond an image of a large set of thick tan books that sit mouldering in the library. They are clearly asking for a stretch from account reps previously tasked with signing up firms for directory entries. Perhaps also a tacit admission that upstart Avvo is having an effect on Lexis-Nexis strategy? What I find most revealing is that Martindale-Hubbell is targeting television for lawyer ads. Many other sophisticated advertisers are moving more spending online, given the superior targeting and tracking it can offer. I would certainly enjoy watching these ads; the word is that they will start to appear here in Michigan first. But what will more normal viewers do when interrupted by a lawyer ad when they have Tivo controllers in their hands? The Economic Times of India provides an update on legal work being done in India. And it’s going upmarket. New York firm Smith Dornan Dehn has established an affiliate in Mysore, India. 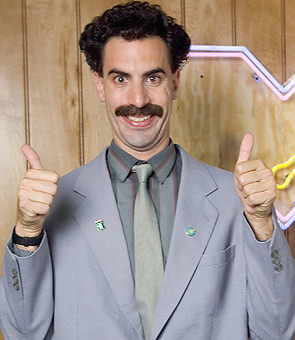 Over 40 people are working on various projects, including litigation related to the film Borat. Office space in Mysore is 43 times cheaper than in Manhattan. In New York most legal fees go to real estate. We have eliminated that. We pay $2,000 rent per month for a three storey building in Mysore. For that kind of money we wonâ€™t get anything in New York. And neither in Mumbai or Delhi. Also, Mysore is over five times cheaper if you consider legal services fees. We charge $30 to $90 per hour compared to $200 to $700 per hour in the US. However, we can say that we are dedicated to helping consumers better navigate the highly confusing legal industry, and we are building something that no one else has built before. It’s a lawyer ratings site. On steroids. … Britton says there is “no established brand” that attacks the problem on behalf of the consumer. And the 40-year-old former attorney at Preston, Gates & Ellis notes that Avvo is different because it uses a mathematical model — pulling information from attorneys’ Web sites, state bar associations and other public databases — to determine which attorney is the best in his or her practice area. I want to think about this, and noodle around the site a bit. It’s a beta (Whatever that means anymore). At first blush, you wonder if legal ratings might be better targeted at the corporate market rather than consumers. Some are working on this now. (And I’ll give a hint that it relies more on real people than math). Joe Sixpack typically interacts with lawyers in divorce, personal injury, and the occasional will or trust. Do these areas need complex algorithms? Sometimes this works in my area. People do need help navigating the maze that is the law and in finding lawyers when they need them. They also need help paying for them, which has led to the expansion of pre-paid legal plans. We learned in the last few years to Google ourselves to see what’s out there on the Interweb. When I Avvo’d myself this morning I was told that it hasn’t yet crawled its way to the Midwest. Good luck to Avvo. I’d like to see more VC money in the legal space. Update: (Also good thoughts on Avvo from Kevin O’Keefe and Carolyn Elefant).